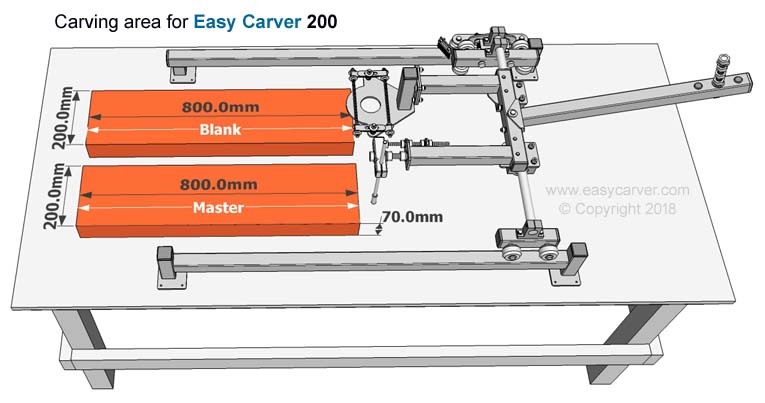 With the Easy Carver build manual/plans, you can build 5 different duplicator model sizes, capable of copy carving from 200mm wide to a massive 600mm wide. The length can easily be customised to suit your requirements. 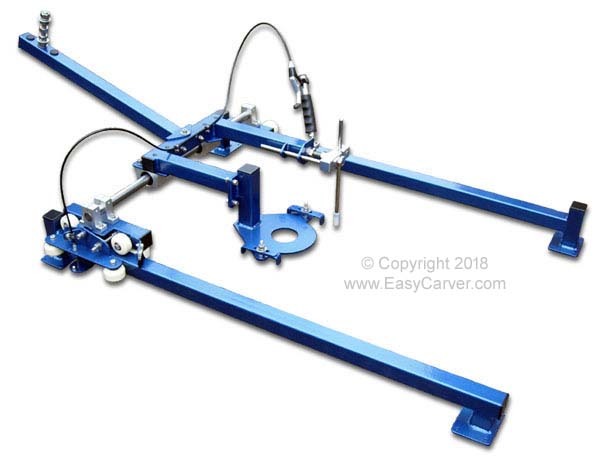 All models can be fitted with the anti-kickback braking system. Note: Cutting depth will vary depending on the length of the cutter being used. 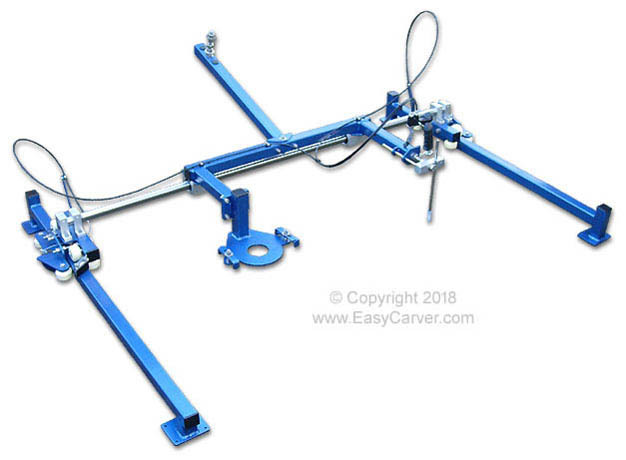 The Easy Carver 500 & 600 use heavy duty bearing rail and linear bearings.